The cryptocurrency tumble continues today as well. Yesterday was the worst day in history for altcoins. They lost around 20% and closed the day at the lows. That was a bearish sign and today the sign proved to be correct. Bitcoin dipped below the $10,000 level and reached $9,162 on my platform. On another platform, the low was $8,870. So, on my platform, the low coincided with the 20 SMA on the daily Bitcoin chart. If you look at other charts, you can see that the reverse or the pullback happened at moving averages. 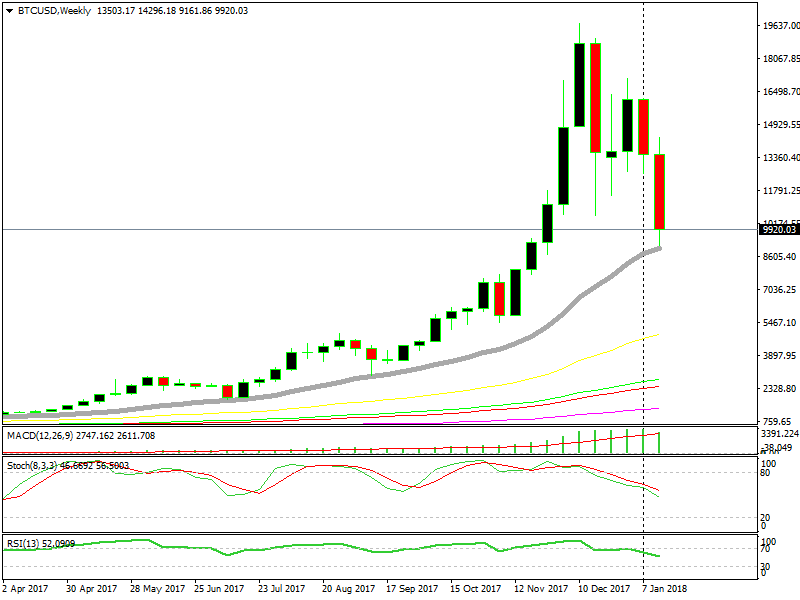 For Bitcoin it was the 20 weekly SMA, for Litecoin the low was at the 100 SMA while for Ethereum the bottom of this move was at $762, which is right where the 50 SMA is standing. You would think that the moving averages wouldn’t work in this new financial market since it is new and the huge moves are taking no prisoners, but they do, as you can see. Bitcoin and other cryptocurrencies jumped up after that. Bitcoin popped above $10,000, but has now slipped below again. The same story is on all major altcoins. They make a quick jump higher which looks like a reverse, only to resume the downtrend in no time and extend further. The downside hasn’t extended after the latest jump, but seems as the downtrend is resuming right now. The main obstacle for Bitcoin buyers is the 20 SMA (grey) on the H1 chart. You see that in the last two days when the downtrend has picked up pace, this bloody moving average has scared off the buyers and encouraged the sellers. So, what do you make of this price action? It’s easy. 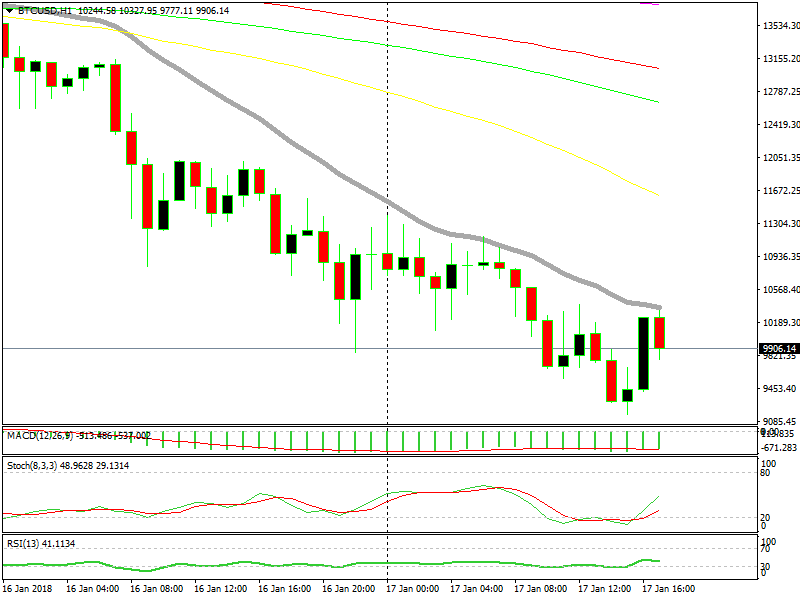 The downtrend is on until the buyers manage to push and hold above this moving average. When that happens, the buyers will become more confident, while the sellers will panic. They will probably think that the bigger uptrend is resuming and will close their sell positions from higher above. That will start the snowball rolling, that’s how the markets work.